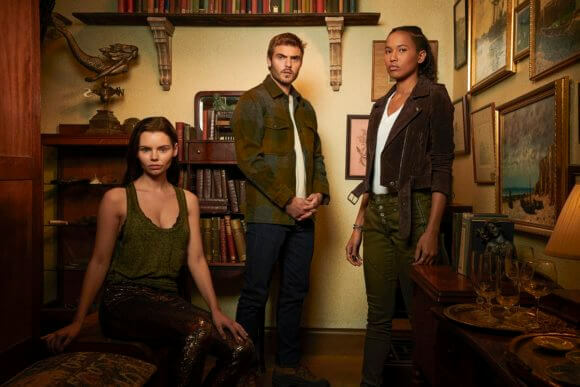 Freeform’s Siren stars Eline Powell (‘Ryn’), Alex Roe (‘Ben’), and Fola Evans-Akingbola (‘Maddie’) teamed up at the San Diego Comic Con to discuss season two of the mermaid drama. Season two will introduce more mermaids to the town of Bristol Cove, and during our interview the three Siren stars discussed what else is in store when the series returns on January 24, 2019. What can you tell us about this love triangle in season two? Siren‘s character-driven and not just a “mermaid” show. It’s about friends and relationships. Is that what grabbed you in the first place? We learned from the showrunner that mermaids don’t laugh. Is it hard for you to keep track of what mermaids do and don’t do?